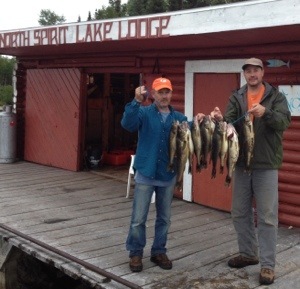 Today we boated to the east end of NSLL, docked our boat, humped all our gear, including a small outboard motor, across about a quarter mile portage to the mysterious Trout Lake. 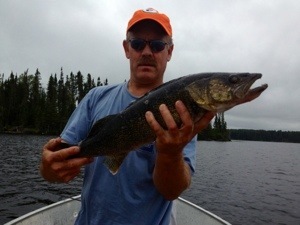 Here we fish for what I consider the best walleye up here. 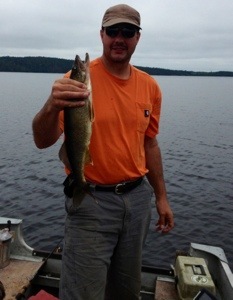 Trout Lake walleye are big and fat. These are the fish we’ll clean and package to take back home. Nice fish. I remember on my trip the portage to Trout Lake had a particular tree with markings from a bear rubbing on its bark. The amazing part was that the fur was 8 foot off of the ground. Wow. What a great time you are having. Thank you for sharing and it would be nice if you could share some of that fish! I absolutely love reading your posts! It brings a smile to a teacher’s face that’s wishing he were somewhere else, lol.